For better or worse, the crown has landed on my head. Elastic once again calls upon its skilled CG liquids team led by Creative Director Patrick Clair and Lead Animator Raoul Marks (both of whom also worked on the titles for True Detective, Westworld, and The Night Manager) to conjure a sombre but luxurious opening to adorn Netflix’s most expensive drama series to date. With a main title sequence fit for a queen, the show begins on an extravagant note, featuring molten gold worming itself into shape among glints of metal and rough, shadowy edges. The aesthetic is in line with the studio’s previous efforts featuring liquid, chief among them the titles to Daredevil and Westworld. 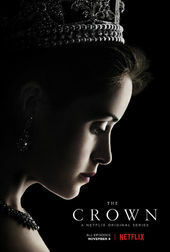 It also recalls the title sequence to feature film The Huntsman: Winter’s War designed by Manija Emran and featuring ice sculptures, Prologue’s opening to short-lived ABC series Of Kings and Prophets, with a dash of honeyed filigree as in Fernando Domínguez Cózar’s title design for 2011 film EVA.